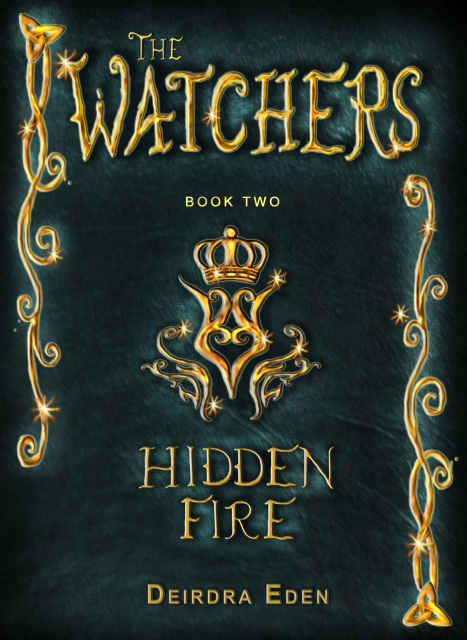 #hiddenfire The Watchers Hidden Fire is an awesome book! I'm not normally a fan of fantasy type books, but this one held my attention and I couldn't wait to see what happened next. Deirdra Eden did such a good job describing the people places and things in this book that I felt like I was right there and knew each character personally. Most of the story is set in old England and the way the book is written you can almost feel the damp chill in the air, hear the echo of footsteps in the drafty old castle, and feel the danger that loomed in the air with the Shadow Legion, always not far away. Aureilla is a young, beautiful main character, full of bravery, questions, and hope. Will she ever find peace and happiness in her quest to conquer Erebus? I can't wait to read the rest of the series to find out. 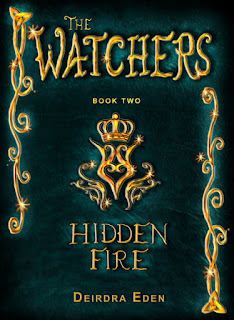 This is a must read, even if you are like me and not really into fantasy books. This one is great! There's enough of almost reality to grab and hold your attention. I received this E Book for free in exchange for an honest unbiased review.